These delicate but simple 14k white gold hoop earrings were made in Italy. They make a great gift for people of all ages, from babies to adult women. All prices are in Canadian dollars. 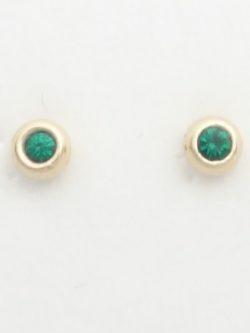 Lovely stud earrings are in 14k yellow gold. The dark green stones would make a great birthstone gift for those born in the month of May or for someone who likes the colour green. 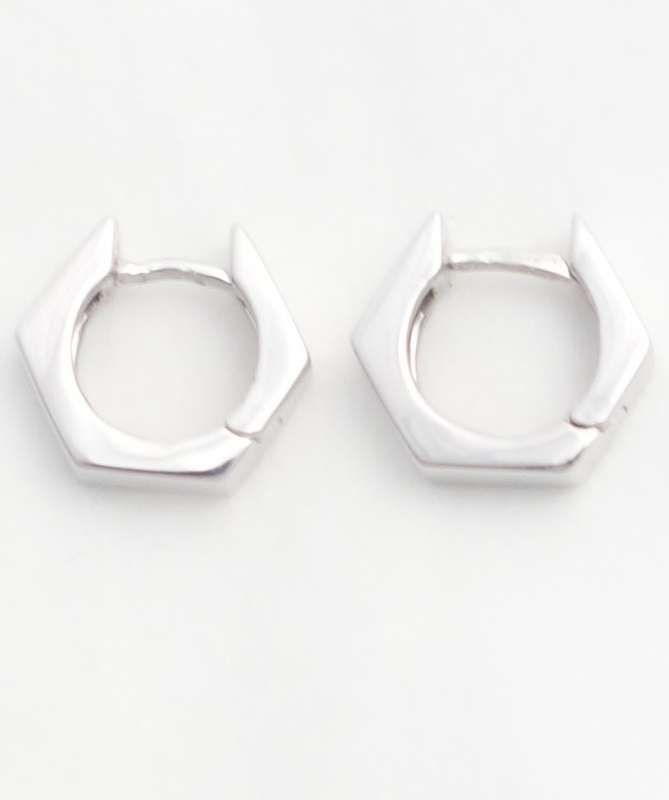 Diameter of Earrings: 4mm* *all measurements are approximations. All prices are in Canadian dollars. A precious pair of 10k yellow gold diamond stud earrings. The unique design contrasts the delicate nature of the diamond and earring itself. 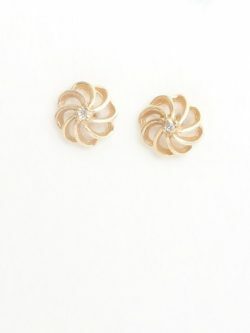 Diameter of Earring: 7.5mm* Diameter of Diamonds: 1.5mm* each *all measurements are approximations. All prices are in Canadian dollars. Adorable 10k baby bracelet could be worn at different sizes by closing the spring ring on any of the links. The I.D. plate is matte on the front side but polished on the back. A great keepsake that can be used for generations. 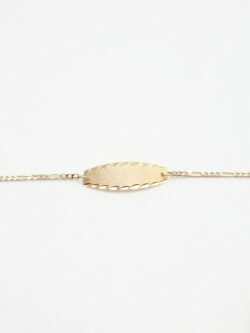 Length of Bracelet: 5.5inches* Width of Bracelet: 1.5mm* Length of I.D. plate: 19mm* Width of I.D. plate: 6.5mm* *all measurements are approximations. All prices are in Canadian dollars. Precious 10k baby bracelet makes a great baby gift where the babies name or a sweet message could be engraved on the front or back of the I.D. plate. A great gift that could be past on for generations. 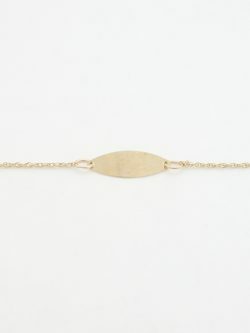 Length of Bracelet: 5.75inches* Width of Bracelet: 1mm* Length of I.D. plate: 16mm* Width of I.D. plate: 5mm* *all measurements are approximations.